Apple reported its quarterly results in what has become the ritual reminder roughly every 90 days that Wall Street can never fail, it can only be failed. Wall Street analysts spent the quarter flailing their arms tube man-style about rumors of poor iPhone X sales figures. But Apple reported that iPhone sales were up and the iPhone X was still its best-selling phone. Writing for MarketWatch, Therese Poletti won’t let go of that failure narrative. “MVP” in the sense that it is not literally the most valuable player, which is still the iPhone by a factor of four. Now, please adjust your headrests to avoid whiplash. Apple reported fiscal second-quarter earnings that were better than Wall Street had expected Tuesday afternoon. Gosh, it seems like just the previous sentence earnings were suffering from poor iPhone sales. We were all so young then! Whatever happened to those nanoseconds? Well, they’re gone now and we’ll never get them back. Those “disappointing iPhone sales” were up 2 percent and represented the second best for the quarter ever. But, apparently, some analysts thought Apple would sell more so… disappointing. What results are you looking at? Has some universal mathematical foundation been shattered and numbers are now subjective? 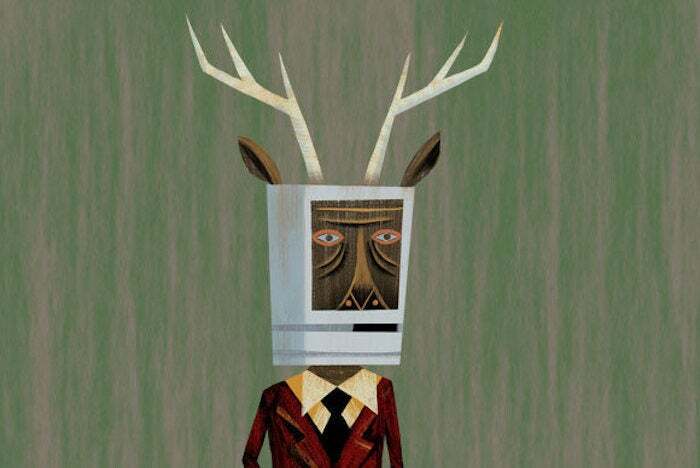 Because according to what the Macalope is looking at, Apple’s revenue was up 16 percent and set a record for the quarter. That’s… pretty good. OK, revenue from services was up $2.2 billion, showing dramatic growth of 31 percent. But revenue from the iPhone was up $4.8 billion, showing growth of 14 percent. In a mature smartphone market, Apple grew revenue by double digits. That’s nuts. If you were expecting a lot more than that, you’re the one who’s bad at their job, not Apple. And what drove that increase? Oh, I dunno, maybe the smartphone that analysts spent the entire quarter saying was a sales flop? Seems like. Could be. Never once does Poletti say what Apple “missed.” Possibly because the whole concept is pretty stupid and embarrassing. It’s like taking a math test, substantially improving your already good score but having your teacher give you a bad grade anyway because he estimated you’d do better. Still, there are signs of hope. One pundit down. 10,000 to go.